Kristen Burgeiss catches for the Warriors. Maleena Davis makes a play at third for the Warriors. Bailey Damian pitches for the Warriors. The drought may be over for California, but all the rain and snow this winter and spring has caused a drought of a different sort for Warrior softball. After having their first home game delayed by three and a half weeks, one tournament delayed, another canceled outright, and several home games rescheduled to away, the understandably bus-weary Warrior squad has experienced a bit of a drought of their own lately. The Warriors took on league rival Ridgeview on March 19 in Bakersfield. Despite falling behind early, the Warriors rallied to tie the game by the fifth inning, the comeback highlighted by a monster solo home run wrapped around the right field foul pole by senior Meghan Daffern, the first of her high-school career. The tie would be short-lived, however, as the Wolf Pack scored three more in the fifth and sixth innings to secure the 6-3 win. Senior pitcher Bailey Damian gave up the loss, despite recording a season-high 10 strikeouts in the contest. After yet another home rainout against West, the following week the vagabond Warriors were again on the road, this time at Independence. They again fell behind early, giving up 5 runs in the first inning on their way to a 8-0 loss. The Warrior bats were quiet, only managing 1 hit, from Kristen Burgeis, while the defense struggled as well, with a season-high 6 errors on the day. But finally, the clouds parted, the sun shone (sort of), and the nomadic Warriors team managed to play their very first home game of the season last Thursday, again facing league rival Independence. 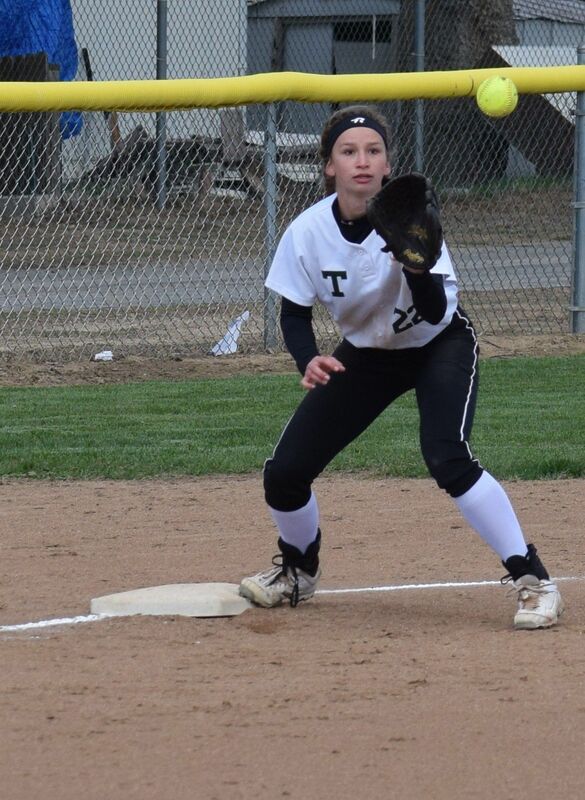 Indy has been undefeated in league play so far this year, and it showed, as the Warriors were again overwhelmed by an on-fire Falcon's offense that put up crooked numbers in each of the first four innings, while hitting 4 home runs on the way to a 14-0 shutout win. The Warriors did manage 3 hits, including a pair by junior Maleena Davis, who reached base on all three of her at-bats. Sophomore Kyndall Perkins added another hit as well. Should the weather gods finally smile upon them, the Warriors may actually have a home stand of sorts this week, playing Bakersfield Christian at Warrior Field on Tuesday, and again on Thursday at 4 pm. Hopefully, the lack of any long bus rides may be just what they need to get back on track.